Over the course of 12 days cycling tour, you will be riding from extreme west (Paro) till the northern central region of Bhutan (Bumthang). 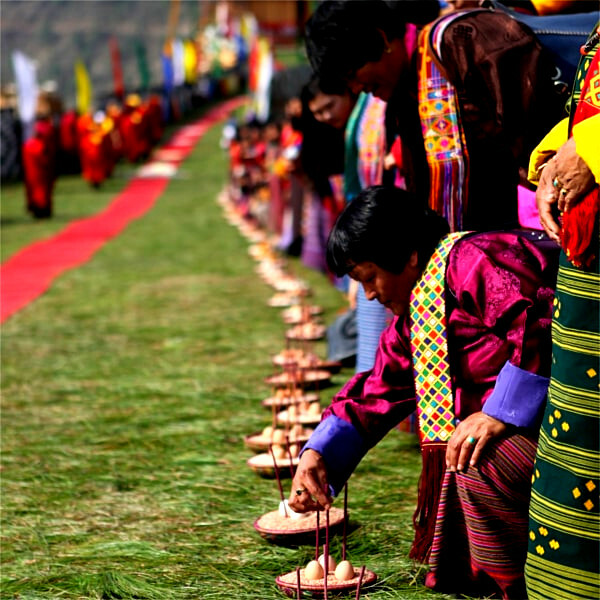 The places covered within this tour are Paro, Thimphu (capital), Wangduephodrang, Punakha, Trongsa and Bumthang. You will be covering a distance of approximately 700 kilometers by the end of this tour. Taktsang Monastery: The monastery is located 900 m above Paro valley on the face of a rocky cliff. Taktsang is perhaps the most famous monastery in the country. The monastery was named Taktsang after Guru Rinpoche flew there from Kurtoe Singay Dzong (Eastern Bhutan) riding on a tigress to subdue a demon. Gyalse Tenzin Rabgay, the secular head of the country (1680-1694) has begun the construction of the monastery at this site in 1692 and completed in the year 1694. The monastery houses many temples that contain sacred statues of eight manifestations of Guru Rinpoche, Tshepame Yabyum and Bone relic of Pelgi Singay. 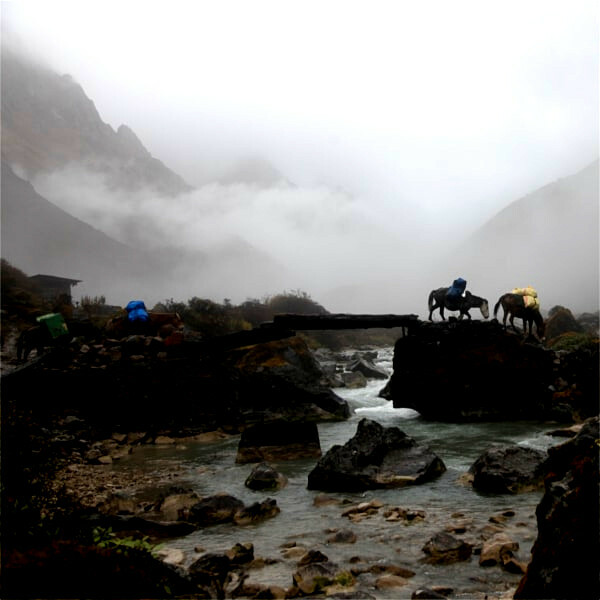 Located 200 km east of Paro international airport, under Wangduephodrang district at an altitude of 3000 m above sea level, Gangtey valley is amongst the most beautiful glacial valley in Bhutan. Today we will begin our journey back to Trongsa following the same way that we came from. After reaching Trongsa, we will explore around and pay visit to Trongsa Dzong, one of Bhutan’s most significant Dzong. Trongsa Dzong: Located spectacularly on a ridge overlooking the Mangdechu River, it is the most spectacular Dzong in Bhutan. It was built by Chogyal Migyur Tenpa in 1647 at the site where a small temple was built by Yongzin Ngagi Wangchuk and named it Druk Migyur Chokor Rabten Tse. The Dzong was once a seat of the highest ranking regional ruler in Bhutan, Trongsa Penlop. The Dzong consists of many different temples built by many different rulers and saints of Bhutan. Today is a day long ride back to Wangduephodrang from Trongsa. For those who do not wish to ride back can use the service of tour vehicles. After breakfast, start your journey towards Paro. 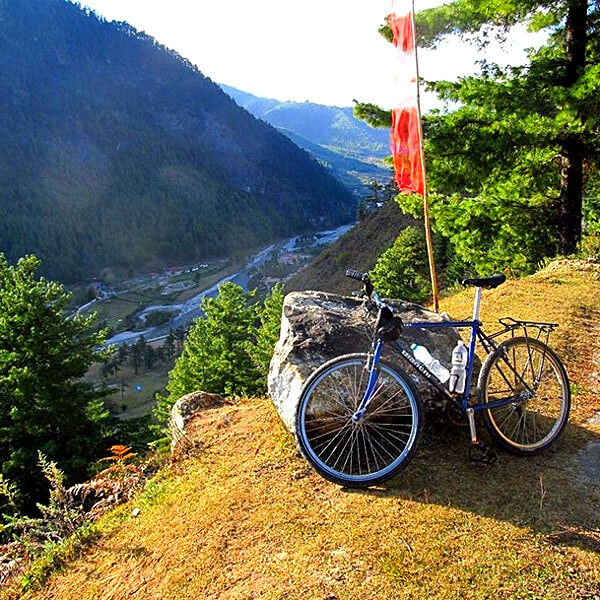 On reaching Thimphu, your actual cycling tour will come to an end. Handover your bike and proceed further towards Paro for the night.